Okay so here is the designer in London that I told you earlier about -- I am so completely inspired by British textile designer Victoria "Vicki" Murdoch of Silken Favours right now! Seriously, the lady walks on water. Do you know her? 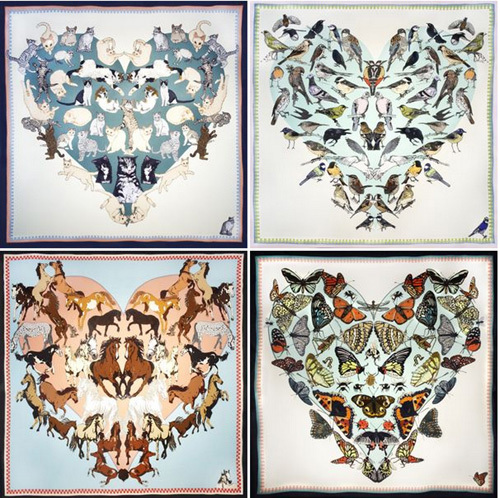 She creates hand-drawn silk scarves inspired by nature and they are available exclusively at Liberty. You have to watch this video, she is positively lovely! 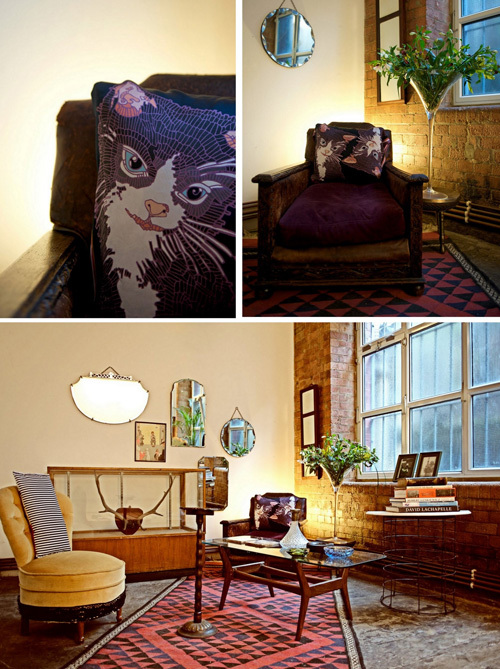 Her designs could so easily work in the home -- throw cushions, shower curtains, I see a big future for this lady! I love the cushion that she made for one of her clients shown above. So sweet! Here is a great article about her as well in the Daily Mail and this video shows her modeling for L.K. 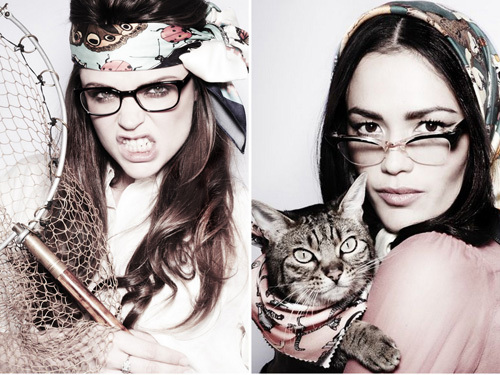 Bennett as part of their real women campaign. Gorgeous!